The DKN EB-2100i exercise bike ensures quiet action thanks to the 14kg (30.8lbs) flywheel and allows for adjusting workout intensity due to 32 levels of computer controlled frictionless resistance system. 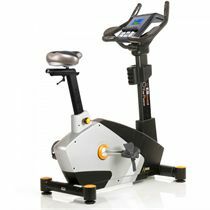 The EB-2100i is fitted with a multifunctional colour LCD console providing feedback on the crucial workout data and offers countless interactive workout possibilities thanks to the compatible Kinomap and Vescape apps. It has a selection of 14 challenging programmes and enables you to measure heart rate with the hand pulse sensors or a Bluetooth™ wireless receiver with an optional chest strap. 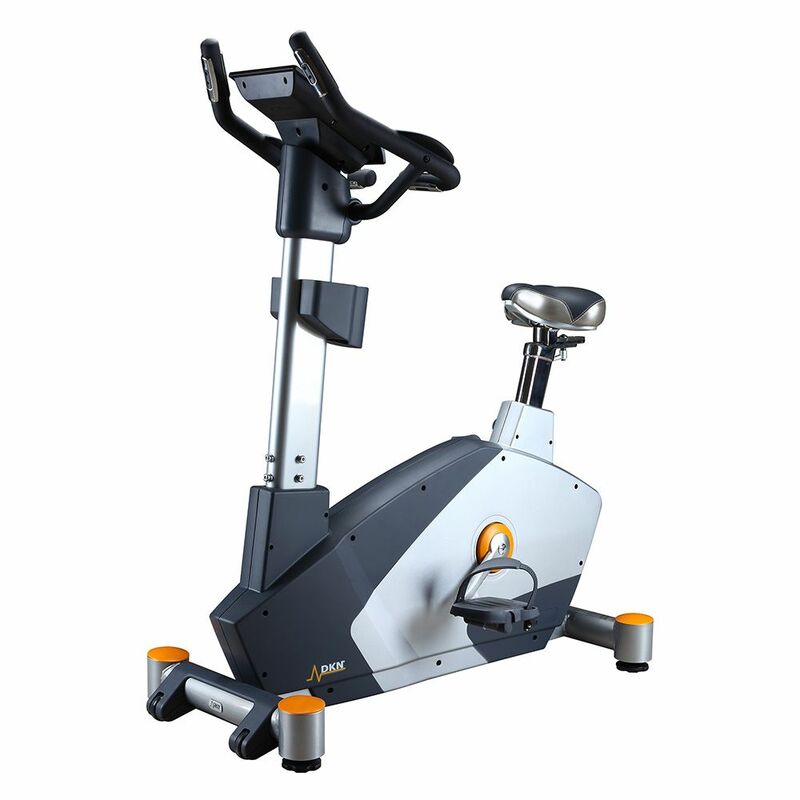 I have used the bike heavily since purchasing and it works very well, smooth and faultless operation as expected; however obviously I cannot comment on long term reliability. Good points: Good design of the contact points, solid build quality, nice display quality, plenty of resistance levels, easy operation, very smooth pedalling. Bad points: Programmes could be improved; Eg, the resistance in the "easy" sections of a programme drops far too low. Eg, some programmes finish at their highest settings, no warm-down. Eg. No custom programmes. The saddle is not fitted to a conventional seat-post, making replacing or swapping the saddle extremely difficult. Poor design in my opinion. The display does not indicate the current level and it alternates some readings, I want key data like revs to be permanently displayed. No excuse for this on a bike of this price. The programme has to be set up from scratch each time the bike is used, no saved user programmes. Disappointing. (I have not added a Tablet, Tablet compatibility may be a great feature if you are looking for that.) Overall I am not unhappy with the bike, the important things it does well. However, had I known the flaws before getting it, I would not have chosen this model. I am surprised that none of them were mentioned in reviews; in future I will take reviews of such machines with a bigger pinch of salt. Perhaps a good choice if you are going to use the full capability with a Tablet, otherwise I would probably look elsewhere. Does exactly what I wanted - metrics of time/heart rate/distance/calories etc. It's comfortable and solid, at value-for-money price. Excellent exercise bike - gym quality but definitely suitable for home use. Very robust and stable. Varied programmes, which are easy to navigate and provide different and varied training opportunities. The bike is exceptionally quiet when being used. The ability to move the seat not only in height but in distance from the handlebars is definitely a bonus and probably makes this bike unique. The fact that the handlebars also have two positions both with sensors, gives the rider the ability to alternate between sitting positions, depending upon the programme being used. DKN staff can also not be faulted for their expertise and willingness to be helpful. 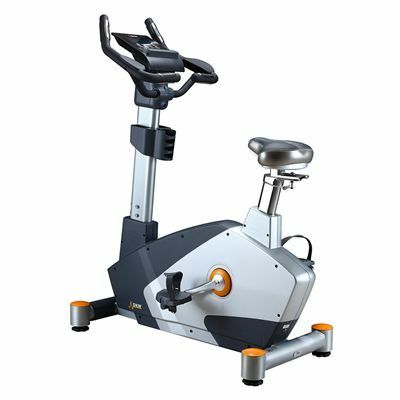 Being a big guy, I was after a heavy duty exercise bike and with the EB2100, I'm not disappointed! This is easily comparable to the upright I'm used to using down the gym. Not used any of the app functionality, but in terms of a solid bike, this is great - very smooth and a comfortable seat too. Decided I wanted to build my own home gym as I was fed up with how busy my local one was during peak times. I bought quite a few pieces of equipment from Sweatband but this is probably my favourite. The is a really high-end piece of kit. Lots of functionality, very smooth cycling motion and heaps of resistance. I do 30 Mins HIIT most morning on it and yet to encounter any problems whatsoever. In my opinion, it's always better to spend a bit more and get real quality as in the long run you're better off. This bike certainly fits that bill. This is first piece of DKN kit that I have ever purchased and it has to be noted how high quality this piece of kit is. It's VERY solid. It was primarily chosen because I'm quite a heavy man (102kg) so I needed something that I would be able to use it without any issues. This ticks all the boxes as it has advanced functionality that allows me to connect my ipad, a high level of resistance and the cycling motion is as smooth as anything I've had before. Really impressive. 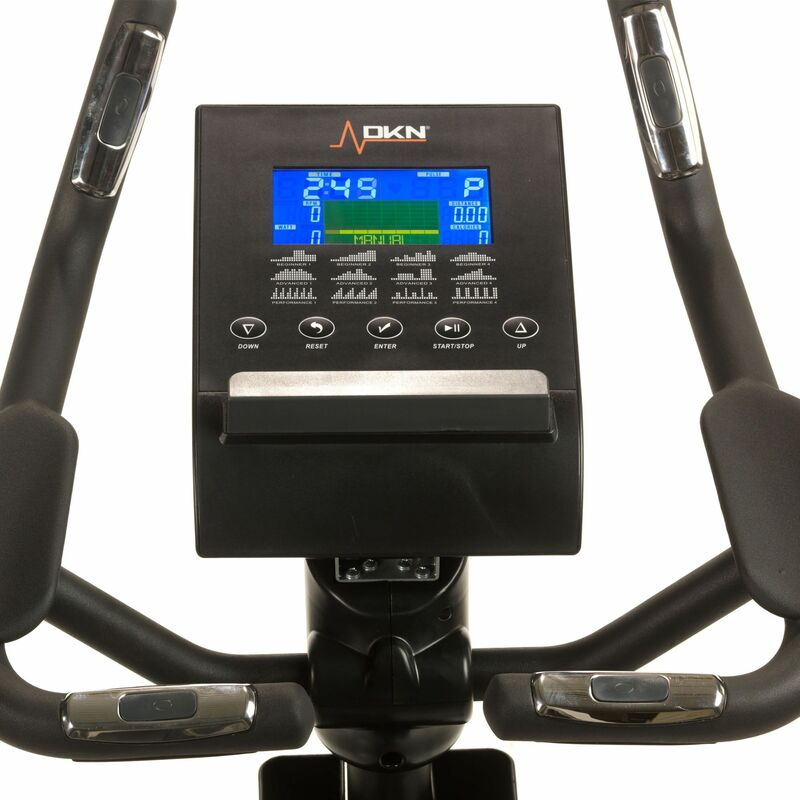 for submitting product review about DKN EB-2100i Exercise Bike.